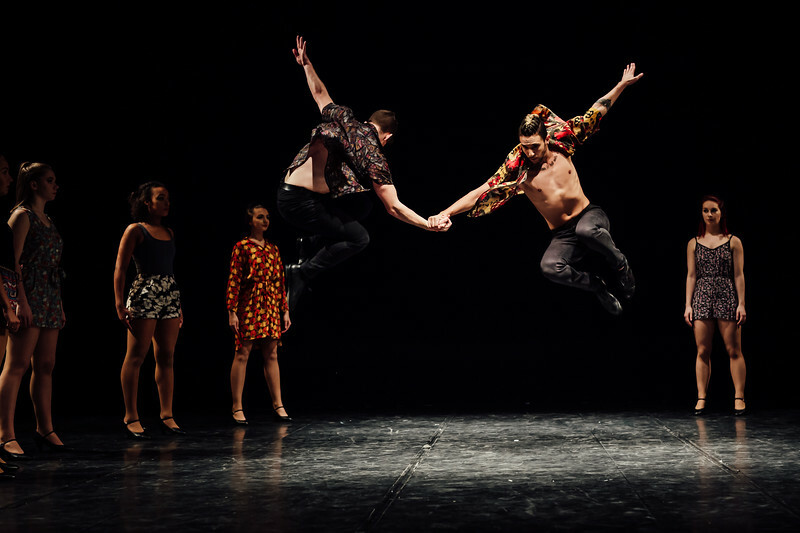 The BA (Hons) Commercial Dance degree is unique in European performing arts training. It thoroughly prepares you for a competitive industry that is hungry for polished, versatile, highly professional dancers. This three-year course, taught in English, is the path to a life in dance in its most highly visible and versatile form. Commercial Dance is exhilarating. In this discipline the range of opportunities is huge – the glitz of a stage production, the glamour of a catwalk show, choreography for a music video or dancing for film, television and advertising. The purpose of this form of dance is out and out entertainment, but it demands dedication, precision and a rounded approach to performance. That’s why the IAB degree is intense and highly practical. The tutors who will guide you possess a wealth of experience both in their own performance work and in teaching performing arts. 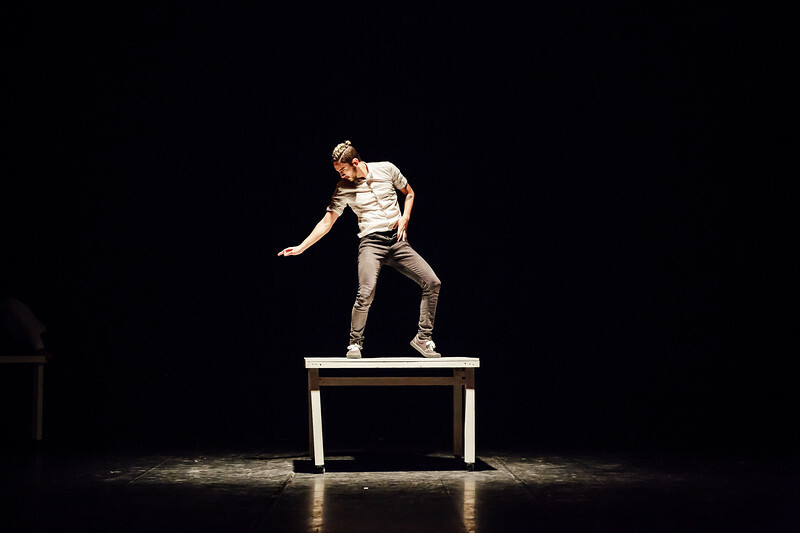 This Commercial Dance programme is designed for students with some substantial prior experience in dance who need an intensive period of commercial preparation to enter this competitive and dynamic world. We look for students who can demonstrate reasonable physical fitness, strong dance technical skills, and determination. As with all fields of performance study, qualities of creativity, imagination and resilience are valued highly, along with an openness to learning and experimentation. IAB’s philosophy is for students to learn by doing. Early on, to achieve the thorough grounding you need, you’ll be in groups taking multiple dance technique and other practical classes every day. Your schedule will pay a lot of attention to Fitness and Health, including Injury prevention, complementary fitness training and anatomy studies. As the programme progresses more time is spent on public performance projects in the IAB theatre or other public venues. Technique classes continue throughout the three years of the degree, and in the third year the programme essentially operates as a Dance Company, creating a number a major commercial dance performance projects. Throughout the course you will be studying and using the critical and evaluative skills demanded by your degree, and learning the professional business skills that you'll be using as soon as you graduate and begin your career in the industry. Your first-year work at AIB is focused on learning the basic techniques that sit at the heart of all high-level dance performance. Practical teaching will be in groups – with a strong timetable of classes in a variety of dance styles – commercial dance trends, jazz dance, ballet and contemporary dance. Alongside your skills work you will learn about the world of professional dance, understanding its evolution, and discovering how the industry works. Crucially, we will teach you how to prepare yourself for employment as a performer. Your skills will be building quickly during this intensive first year, along with your confidence. And you will begin to develop the physical, mental and emotional resilience required for a career in dance. Your second year of study is centred on personal development and learning by doing. The intense programme of practical classes continues as you advance your skills and add new dimensions your range. There will be complementary studies in choreography. You will spend much more time on rehearsal and stage productions, on campus and beyond. Your tutors will ask for greater self-reflection on the quality of the work you produce, and challenge you to bring more of your own ideas to the table. During year three the focus on your individuality grows stronger. This is when your own style begins to assert itself, with opportunities to develop your own ideas and devise or interpret work in ways that play to your strengths. There will be more rehearsals, full-scale productions and performance events. Industry partners and international talent spotters will be on the guest list to watch you work. This is graduation year, and you will continue to gather the knowledge and try out the skills you need to successfully manage a career as a performer. As a graduate from the BA (Hons) in Commercial Dance programme you will have an impressive set of skills focused on commercial and entertainment dance forms. You will have proven your worth on stage in professional theatre and showcase performances. You’ll know how to manage the day to day business of being a working performer, and you’ll have the commercial and networking skills you need to go out and find work, beginning a career in dance and the performing arts. And if your ambition is to study further then this degree, recognised around the world, will allow you to progress on to further postgraduate/Masters degree studies in Europe, the USA and beyond. 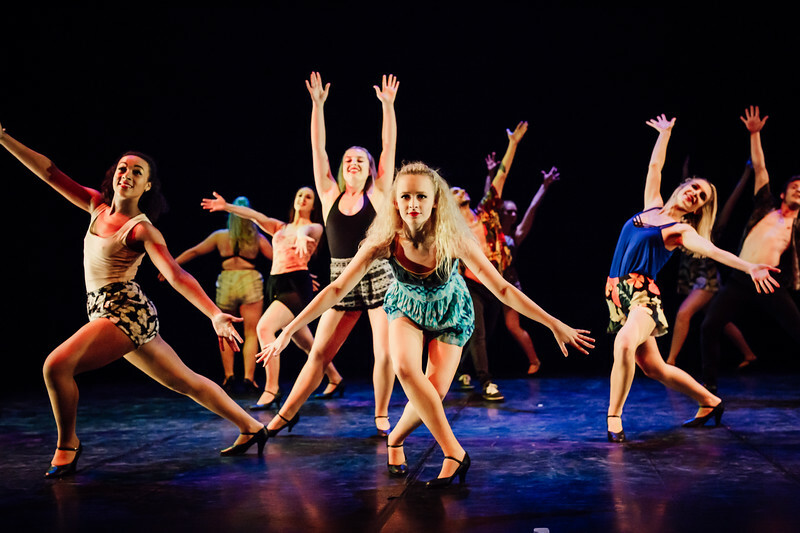 The BA Hons Commercial Dance programme is for students who are committed to gaining and maintaining a performance or choreographic career in the specific areas of entertainment and Commercial Dance. To be awarded a place on the Commercial Dance programme you will need to demonstrate high levels of skills in technique and performance, passion, determination, leadership skills and openness to learning. The programme is designed for students at/or near advanced/ intermediate technical levels who require an intensive period of commercial preparation to enter the highly competitive and dynamic world of work.